Valve are working fast to improve the Steam client this year, with another beta now available including an option that was highly requested. Firstly, Steam Input gained support for the HORI Battle Pad and HORI Wireless Switch Pad. Additionally, Big Picture mode had two bugs fixed. The usual stuff there and nothing major, that is until you get to the Linux section of the beta changelog. Why is that so interesting and important? Well, honestly, some Linux ports get left behind for months and years and some really just aren't good. Additionally, some Linux games have multiplayer that's not cross-platform, this could also help with that. Not to downplay the effort a lot of developers put in, it's just how it is. The ability for users to control between the version from the developer and running it through Steam Play is a nice to have option. One of the next big stages for Steam Play, will be actually showing it for whitelisted titles on store pages. I'm still very curious to see how Valve will be handling that. Valve might also want to update the Steam support page too, it's rather outdated. That's pretty cool. But hey, are anyone here missing Proton updates? No , with this way Valve guarentees a good gaming experience for Linux users. Example: A Linux user bought the MotoGPX3 game ( native VP port) but performance wise game is beaten by DXVK with a big margin. 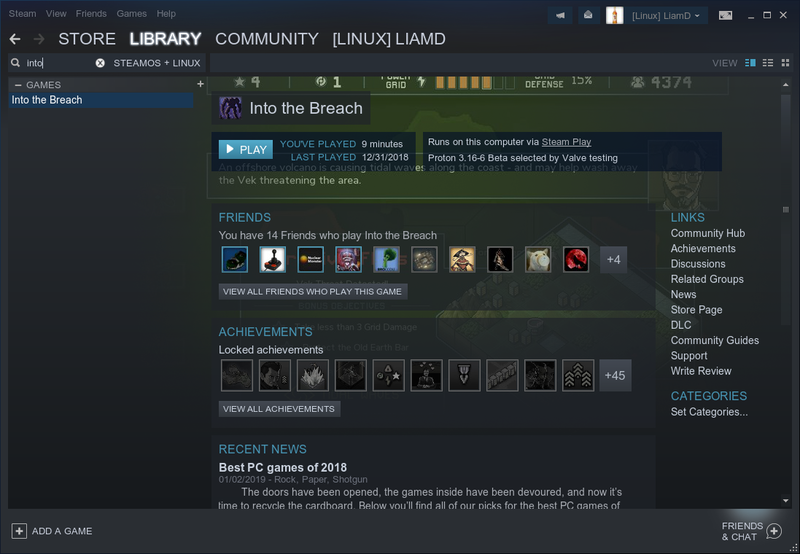 So user can use Windows version without dealing Steam on Lutris. Valve provides you choice and says " Use what you want"
This is a great feature. Sadly many Linux ports are poor quality and the Windows version works better. I hope Steam Play doesn't discourage Feral, since their ports still generally come out ahead of DXVK but Virtual Programming needs to a new porting tool-set to replace eON, or they can just embrace Wine + DXVK tech and modify/optimize variants of it on a per game port basis. True but Steam Play falls behind upstream Wine and Wine Staging, so Lutris and POL w/ Windows Steam client is still useful for games that need newer Wine versions. Hopefully Steam Play gets a Wine 4.x re-base shortly after it's release. It will catch up soon , Wine 4.0 is just RC now. SteamPlay has an aim ; whitelisting many games as possible while avoiding regressions. So it will always be bit behind of upstream. Using upstream Wine manually doesn't offer you compability guarentee and doesn't aim it too. Let me understand this. This update should make games like Ark with a bad Linux port to work better. I think is good and bad. Dev can become lazy but Linux user don't feel like they need to install windows or go with a wine steam to play the game that their friends play. This is great. Anyone know if it's possible to have both native and proton versions installed at the same time to quickly switch between the two for testing? 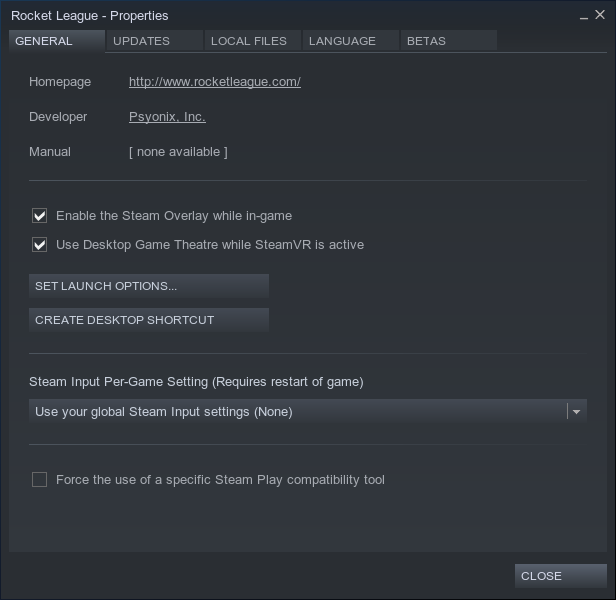 Hope I can use proton for Rocket League to finally get workshop maps working. Performance might be better too. Rocket League's Linux performance is pretty poor compared to Windows sadly.